**** Chosen by Winner: Rick S.
The Kizer Zugang offers titanium construction and a unique collectible design. This model is equipped with a smooth, ergonomic titanium handle and a wharncliffe style blade made from CPM-S35VN stainless steel. The handle features a custom pivot and a matte blasted finish. It comes with a titanium pocket clip for tip-up carry. 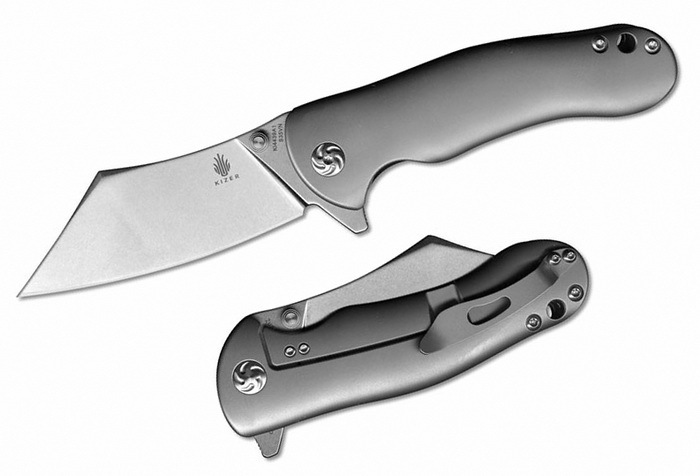 The blade can be quickly opened with a flipper or thumb stud and locks in place with a solid frame lock.